When WFUV first met Courtney Marie Andrews at SXSW in Austin, Texas in mid-March 2018, we were admittedly a little tardy catching up to this arresting Americana and country singer and songwriter. A hard-working touring musician not adverse to busking on street corners, she'd already released five albums, including her 2017 breakthrough album, Honest Life, and was on the brink of releasing a sixth, May Your Kindness Remain. Astonishingly, Andrews recorded that album in just over a week, but you can hear a lifetime of pain and wisdom in her expressive voice, drenched in heartache, isolation and trembling hope. May Your Kindness Remain, which won "Best International Album" at the UK's Americana Association awards earlier this month, follows the tradition of great country songwriting from the genre's ferociously gifted women, like Loretta Lynn, June Carter Cash and, of course, the indomitable Dolly Parton. Parton, whom Andrews loves, is being honored this Grammy week, on Friday, February 8, by MusiCares as the Recording Academy organization's 2019 "Person of the Year." The eight-time Grammy winner is the first Nashville artist to receive that honor and she will be feted by a starry list of performers at the benefit tribute concert, including Margo Price, Leon Bridges, Norah Jones, Brandi Carlile, Jon Batiste, Mavis Staples, Willie Nelson, and many more. FUV wanted to give Andrews a chance to weigh in on her beloved Parton tunes too, and we asked her to pick "Five Essential Dolly Parton Songs" as we celebrate the brilliant, book-loving, and benevolent country music icon. I really wanted to choose five songs that many folks have not heard from Dolly, but since this is an Essentials list, you must know and hear this song. Most folks don’t know that Dolly wrote this song. Elvis [Presley] almost recorded it, and Whitney Houston made it famous. This is essential Dolly. It’s a beautifully simple and powerful breakup tune. You can’t have an Essential Dolly list without "9 to 5." Dolly was asked to write a song for the movie “9 to 5” and she slayed because she’s Dolly, and wrote the grooviest, catchiest tune you could ever imagine. Every time the chorus comes on, you can’t help but move your hips, bob your head, and feel empowered. There aren’t many classy songs about one-night stands, but you can leave it up to Dolly to nail it. This vocal kills me! You can’t get through one Dolly record without at least one ode to her Appalachian home. This is a sweet and fun song about her apple growin’ neighbor. The song ends in a harmonious sing-along: “Sing a song for me, AppleJack” that’ll definitely get the whole car humming along. It’s also proof what an incredibly multilayered writer she is. She truly can write about anything. 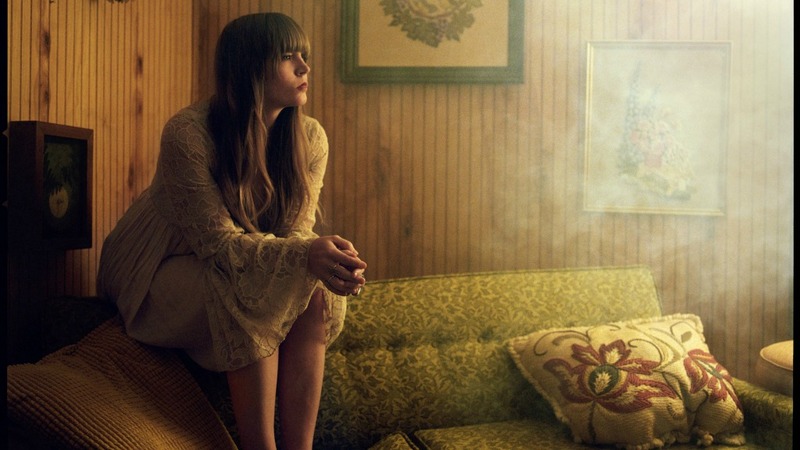 Courtney Marie Andrews embarks on a North American tour with Deer Tick this spring including three sold-out New York shows at Rough Trade (April 30) and Music Hall of Williamsburg (May 2 and 3). Catch up to all of FUV's Five Essential Albums and Songs here.